Pocket Ts are a huge trend right now. We love them because it’s a great way to give a simple style a twist. We’ve come up with a couple ideas of how you can make your pocket T extra special with our stencils. Check out our ideas below and share your creations with us @Stencil1. 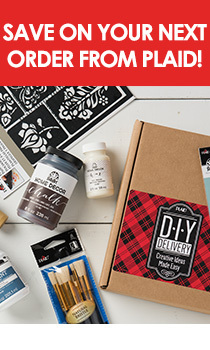 This is what you will need for this how to: Stencil1 Scallop, Star, and Asian Dots pattern stencils, FolkArt Multi-Surface paint, stencil brushes, painters tape, pocket T, cardboard insert, low-tack spray adhesive. Step 1: Slip the cardboard insert inside the shirt. This will give you a firm surface to stencil on and will prevent paint from bleeding onto the back of the t-shirt. Step 2: Outline the pocket using painter’s tape. This will give make it easier to stencil the entire pocket without getting paint of the shirt. Step 3: Place the scallop pattern stencil on top of the pocket and secure it down with tape. You can also spray the back of the stencil with a low-tack spray adhesive so that it is well secure to the t-shirt and less likely to move. Step 4: Put some paint on your plate, or any other hard surface. For this stencil we used a gray t-shirt and “pueblo” FolkArt paint. Step 5: Dip your brush in the paint gently. Stenciling is a dry brush technique, which means you do not need a lot of paint on your brush. If you want the color to be more saturated, you can apply multiple layers. Step 6: Start stenciling the shirt by using an up and down or circular motion. Step 7: Lift the stencil off, gently. Allow the paint to dry t touch and heat seal with a iron. Step 8: Repeat steps 1 through 7 but with the other pattern stencils. Try playing around with some fun color combinations. We paired a blue shirt with FolkArt “orchid blossom”, and gray with “look at me blue”. Something fun that we tried was painting the pattern just outside of the pocket!